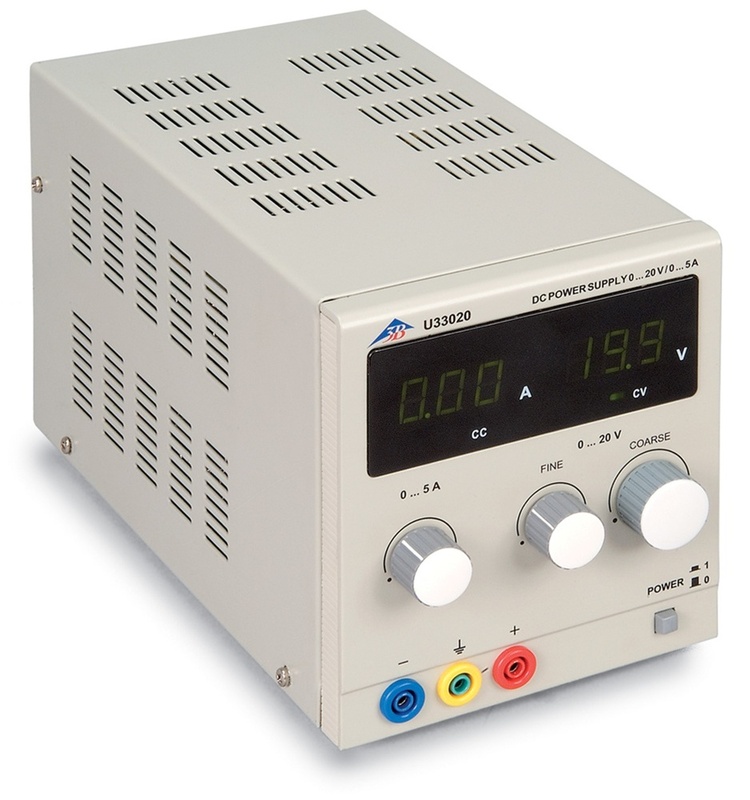 Universal power supply with digital current and voltage display. Output voltage and output current are continuously adjustable. The device can be used as a constant voltage source with current limiting or as a constant current source with voltage limiting. The power supply is short circuit proof.